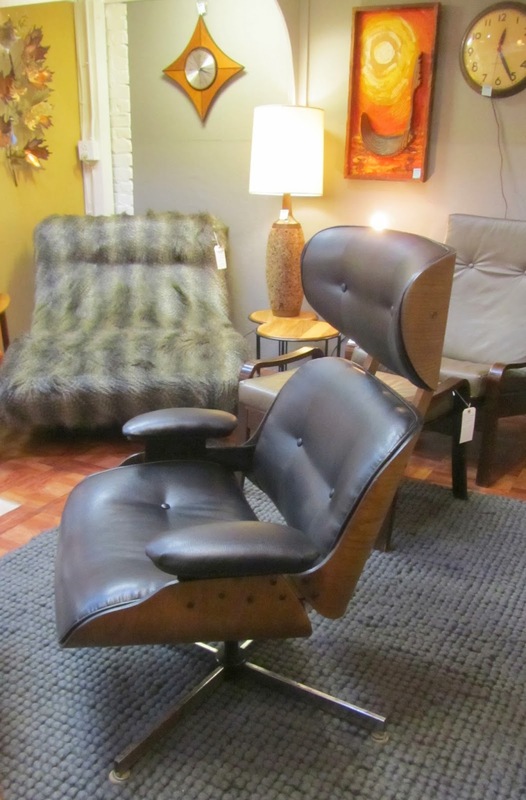 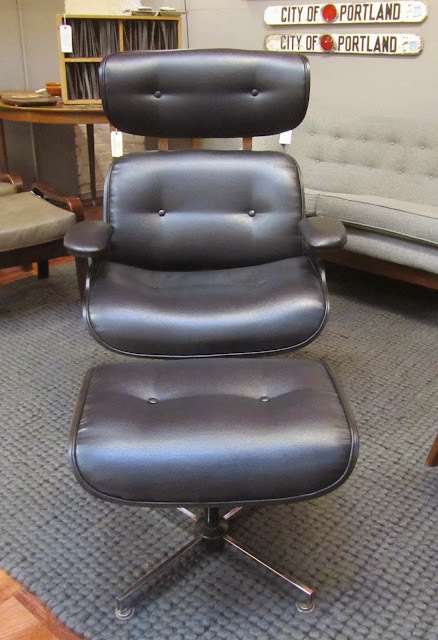 Recently I found an Eames stye lounge chair & ottoman on the side of the road. 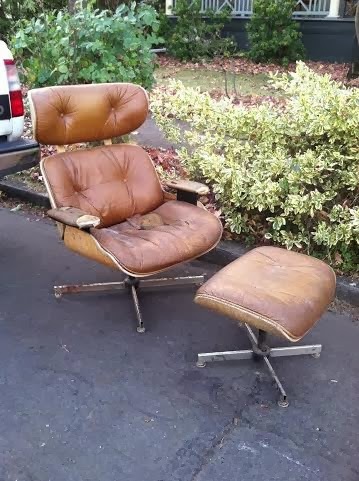 Although it was a lucky find the chair looked like it had been through both a flood and a fire. 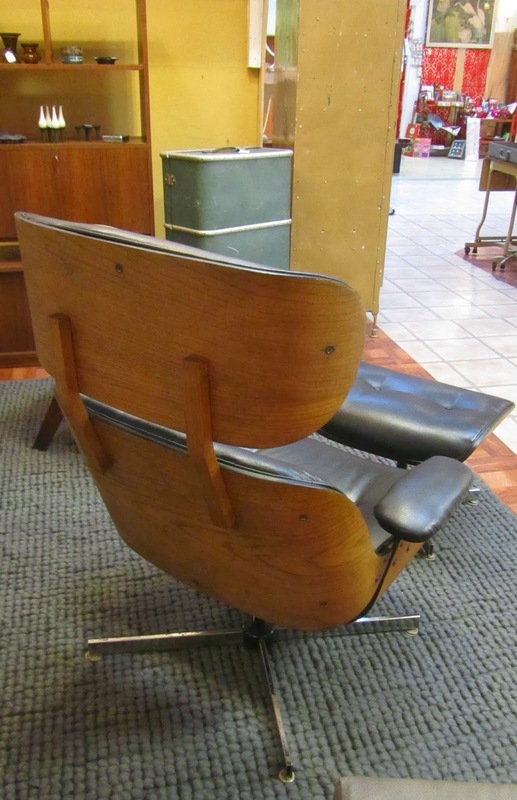 The wood needed refinishing, foam replaced, and leather reupholstered. Restoration process photo. 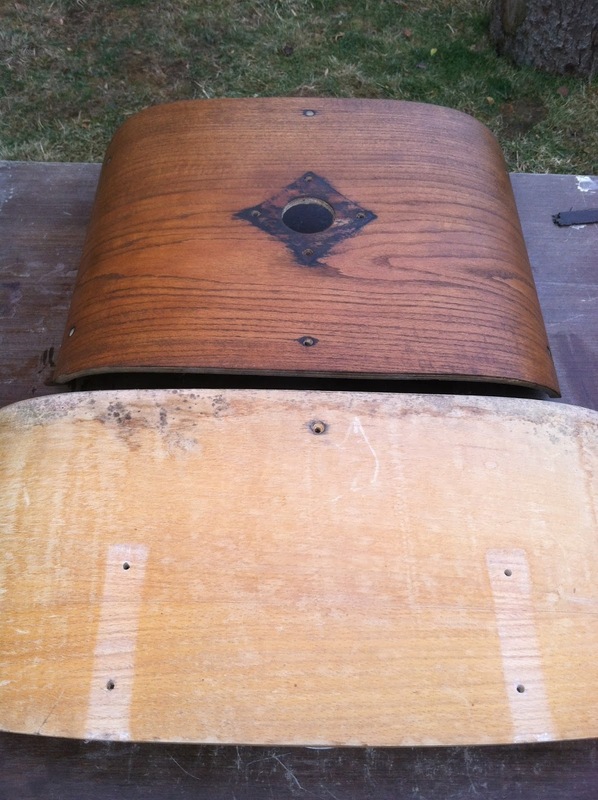 Here the ottoman shell is refinished and the headrest is in its original condition.